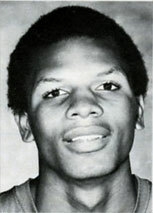 Drafted: Selected by the San Diego Clippers in the first round (2nd pick overall) of 1982 NBA Draft. This was was fit for the NBA and I love watching DePaul back when he played. Just another "CHI" great. GO CHI#1.